Within the rapidly growing medical marijuana movement, individuals have developed many different methods of cannabis consumption. Naturally this phenomena can come with associated positives and negatives. On the positive side, these products allow the therapeutic potential of the plant to be realized for many different medical conditions. On the other hand, these different methods of consumption potentially create confusion for patients, who end up having to experiment with different methods in order to achieve optimal relief. When most people think about cannabis, the first thought that comes to mind is smoking, whether it be through blunts, joints, pipes, or bongs. While this may be the most popular method of consumption it is not the healthiest method. When you inhale cannabis, the majority of cannabinoids, enter the body through the lungs, where they are passed along directly into your blood stream. Due to this direct exchange, consuming cannabis via inhalation has the shortest time of effect of all routes of entry. 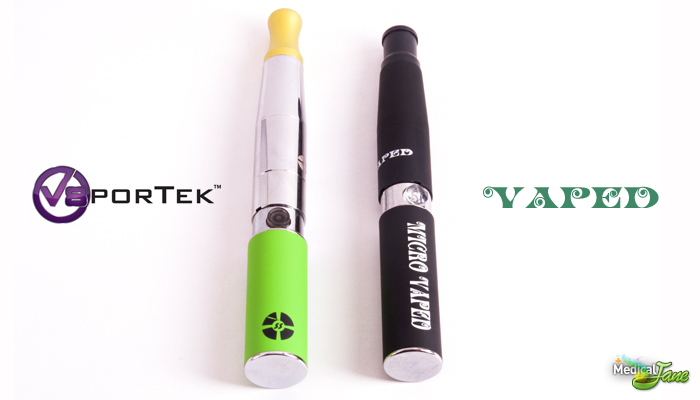 In addition to smoking, cannabis can also be inhaled via vaporization and there are numerous products to help facilitate this process, including portable vapes, stationary vaporizers, and even dabbing instruments. 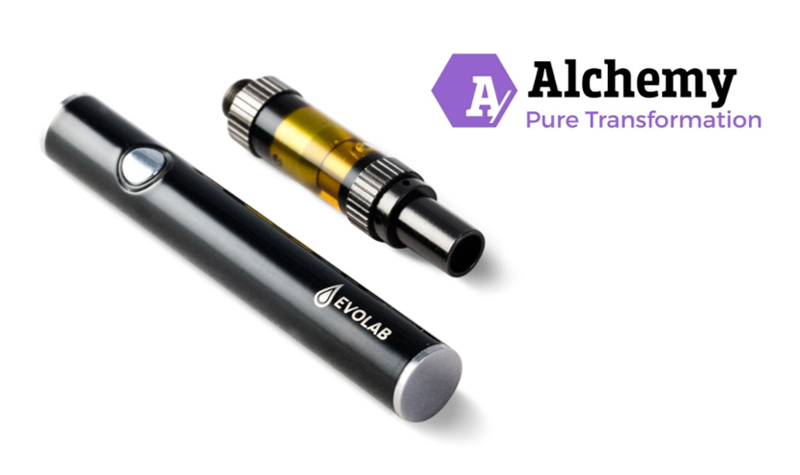 From a health standpoint, many studies comparing the difference between smoking and vaporizing reveal that there are substantial advantages associated with vaporization which include more efficient cannabinoid extraction and a decreased exposure to toxic elements such as carbon monoxide and tar, which are derived from smoking. Affectionately known as infused edibles, cannabis consumed orally enters the blood stream after being digested or broken down in the stomach and is absorbed in the intestines. This is usually accomplished by infusing butter or fatty oils with heat to create a decarboxylated medicated meal. Popular types of infused edibles on dispensary shelves include brownies, candy, chocolate bars, cookies, drinks, pills, snacks, spreads and more. Aside from the fact that cannabis is a vegetable with many of the same nutrients as other leafy greens (like fiber, iron and calcium), it is jam-packed with beneficial cannabinoids that are unique to the cannabis plant. As such, juiced cannabis is a nutritionally-dense, very potent medicine without the psychoactive components one would normally experience when heating the plant. The high concentration of raw, cannabinoid acids in juiced cannabis coupled with the perfect balance of fatty acids could help improve cell function and reduce damage caused by free radicals. Additional benefits of raw, juiced cannabis include reduced inflammation and the facilitation of two-way cellular communication. Many cannabinoids also have anti-tumor properties which are readily available through the consumption of raw marijuana. Like other vegetables, however, cannabis loses a great deal of its nutritional value once heated. The cannabinoid profile also changes after cannabis has been heated by converting THCA into THC and CBDA into CBD. 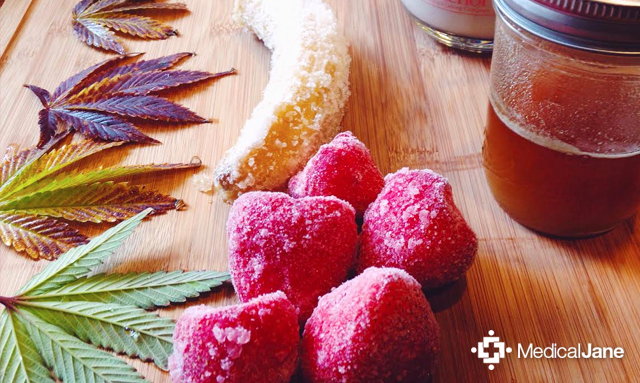 With THC now replacing THCA, the user could get stoned, but by juicing cannabis (rather than cooking or otherwise heating it), consumers can avoid the high altogether without compromising its other valuable components. Because raw, juiced cannabis produces no high, it is possible to consume much larger amounts of beneficial cannabinoids. For example, CBD has been shown to halt — or even reverse — the growth of certain cancers but only in extremely high doses. Cannabinoids, much like the active ingredients in other medications, can also be absorbed through the skin. Products designed for this functionality are known as cannabis topicals. The skin has a relatively complex absorption process that majorly involves a chemical’s ability to dissolve in H20. Examples of topical products include creams, balms and even patches much the like the ones often used to quit smoking cigarettes. While not widely studied, researchers have found that the topical application of cannabinoids has an onset of action within minutes locally (i.e. creams and balms applied to a joint), with duration of these effects lasting approximately one to two hours. A transdermal patch is a medicated bandage that can be applied to your skin to deliver cannabinoids to your system at a controlled release-rate. Although they may be difficult to find in medical marijuana collectives today, the transdermal patch has been around since 1979. Individuals who used patches have reported onset of action within two hours and duration of effect lasting upwards of two days. Sublingual products are the preferred method of treatment for many cancer patients who are taking full extract cannabis oil (sometimes referred to as “hemp oil” or Rick Simpson Oil). Direct sublingual application involves placing precisely decarboxylated cannabis under the tongue, allowing the cannabinoids to immediately enter the bloodstream through the vessel-rich tissues within the sublingual cavity. Before you swallow, cannabis can also enter the blood stream. Under the tongue and within the mouth there are a large number of blood vessels which can absorb cannabinoids. Common examples of these type of medications include dissolvable strips, sublingual sprays, or medicated lozenges or tinctures. Sublingual delivery is not only a socially acceptable and convenient way to medicate, but intake through the oral mucosal membranes in your mouth is also a very effective way to ingest cannabinoids. This method provides for rapid and effective absorption directly into your systemic circulation because of the increased bioavailability of the cannabinoids. Bioavailability is a subcategory of absorption in pharmacology that refers to the fraction of an administered dose of unchanged drug that reaches the blood stream. The only way to achieve true 100% bioavailability, by definition, is to administer a drug intravenously. Compared to other delivery methods, uptake through blood vessels and micro-capillaries in your mouth is one of the best ways to increase the bioavailability of cannabinoids. This “first-pass” of medication, as it’s referred to, allows the medication to avoid having to pass through your liver where it would be broken down making it significantly less beneficial and bioavailable. Whenever you take any other medications orally – i.e. swallowing pills or eating an edible – a small fraction of that drug is metabolized in the liver before it even reaches systemic circulation (blood stream), thus decreasing the overall bioavailability of the medication. How do you juice raw cannabis? Why does juicing cannabis affect me differently than smoking weed?